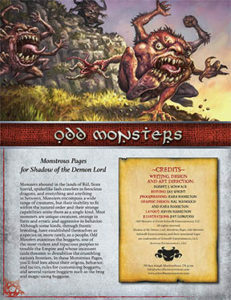 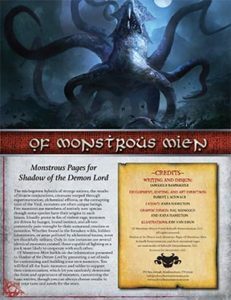 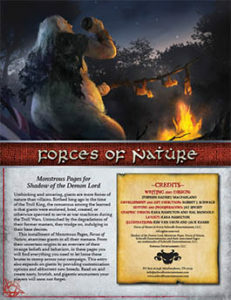 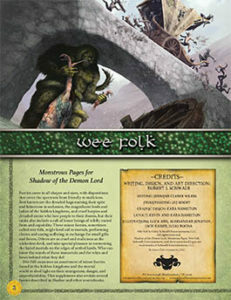 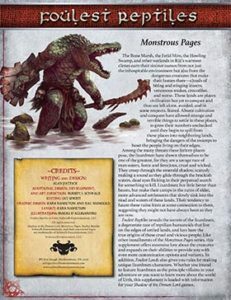 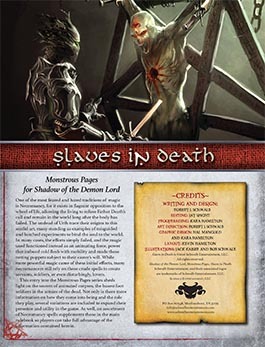 The Monstrous Pages series takes a close look at the iconic creatures in the game. 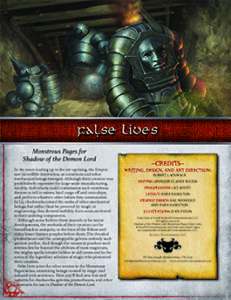 Each entry into the series provides new mechanics, lore, and new variations. 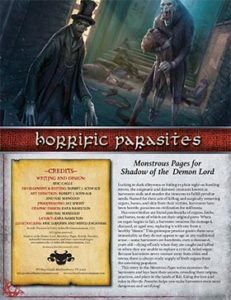 Buy Horrific Parasites in PDF via Schwalb Entertainment or on DriveThruRPG! 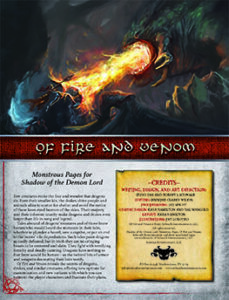 Pick up the PDF on Schwalb Entertainment or on DriveThruRPG! 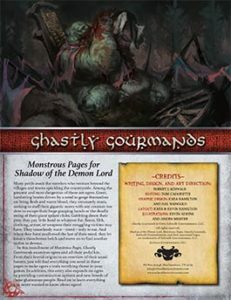 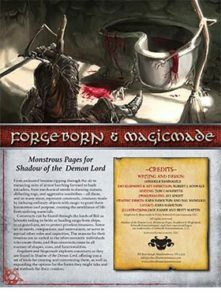 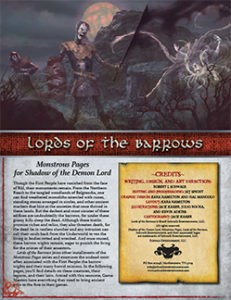 Unholy Champions of the Demon Lord reveals six vile demons conjured from the imaginations of six talented supporters of the Shadow of the Demon Lord Kickstarter campaign. 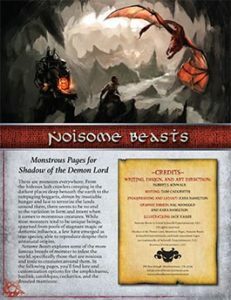 Each demon acts as the seed for an entire campaign, a terrifying monstrosity with which you can test the mettle of your groups in the last days of a dying world. 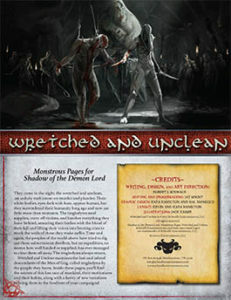 Buy Wretched and Unclean from Schwalb Entertainment or DriveThruRPG today!